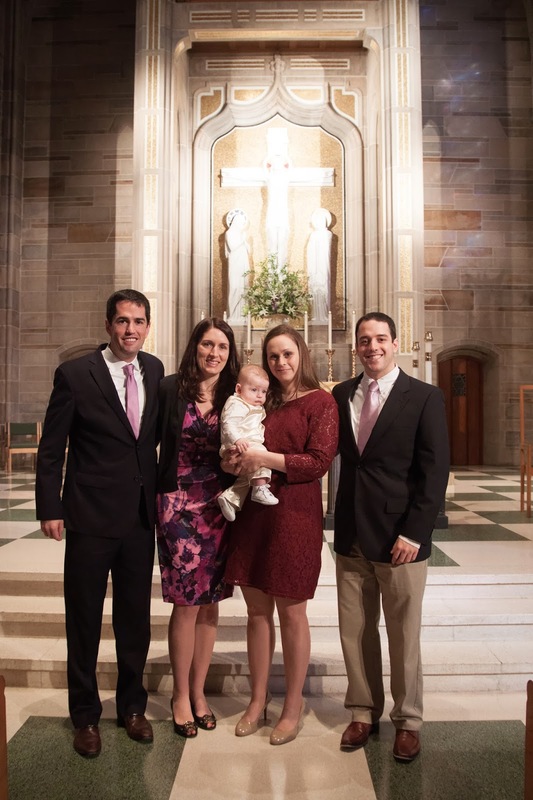 One of our many events in November was our nephew Luke's Baptism. 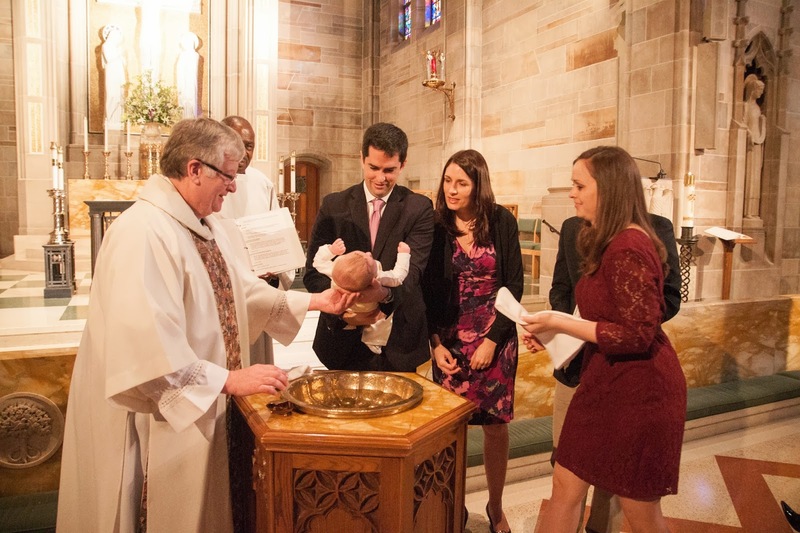 He was Baptized on the Feast of All Souls. Such a fabulous day for a baptism! 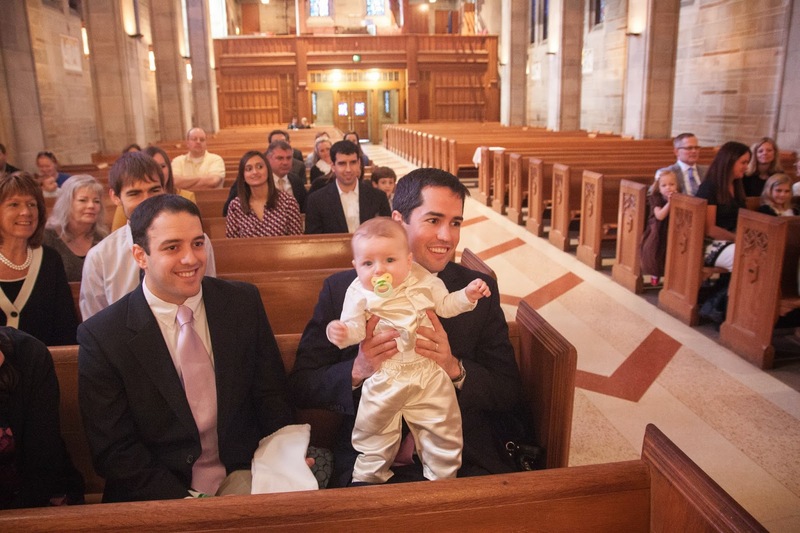 Like Evie's, Luke's Baptismal "gown" was made out of my mother-in-law's wedding dress. The most fabulous idea I've ever heard of! For Luke she had pants, a vest and a bow tie made. This will be the outfit for all the boys going forward. 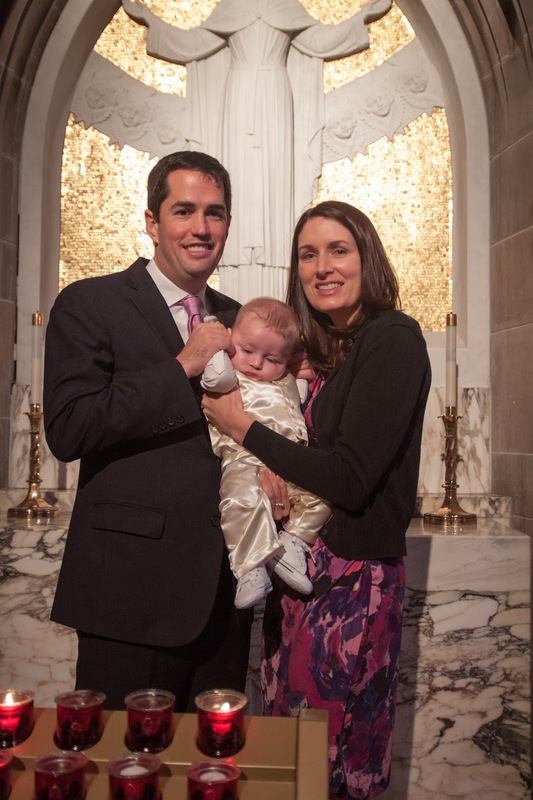 Luke's Godparents are Leeann's long time friend, Susan, and Dan's brother, Mike. They chose a friend and a sibling like we did for Evie! 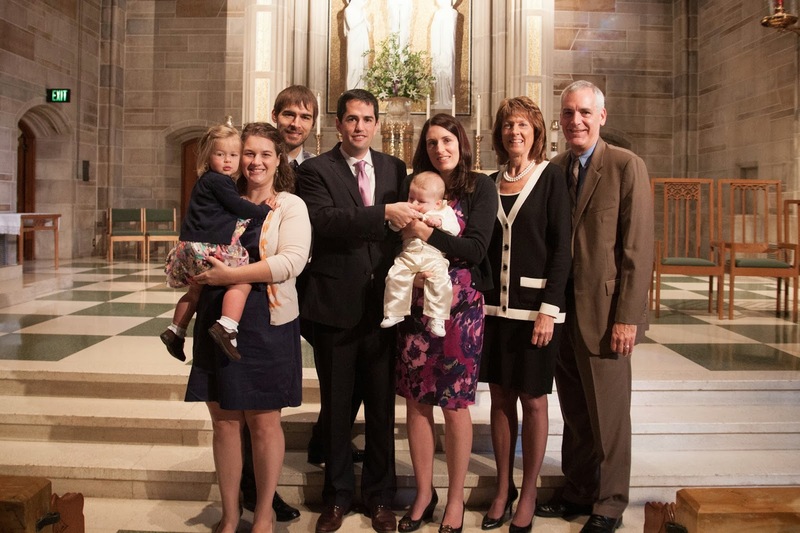 It was a group baptism at the Cathedral. 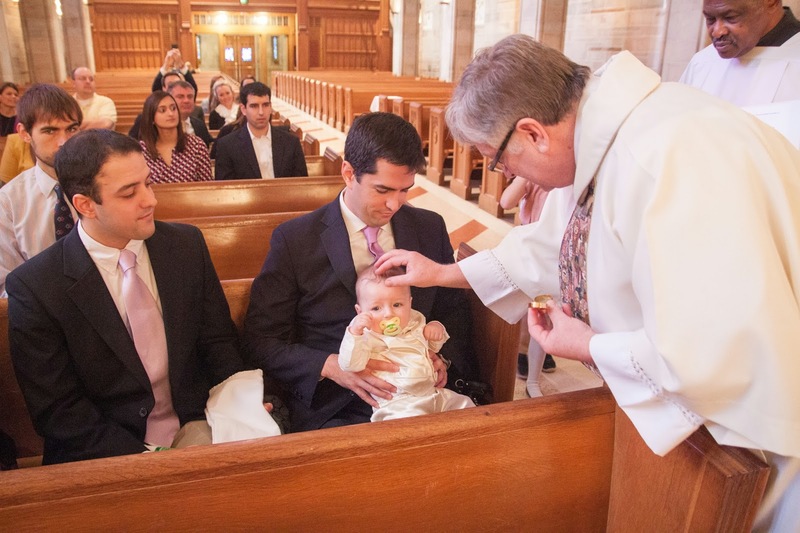 The deacon who did it was very inviting and was great about including the families and children when it was time for each baby to be chrismed or baptized. He was also gracious about allowing me to take a million photos. Luke was a rock star! He barely made a peep during the entire rite. After the baptism we went back to Dan and Leeann's house for a yummy breakfast catered by Flying Biscuit and time with all of Dan and Leeann's friends and family. 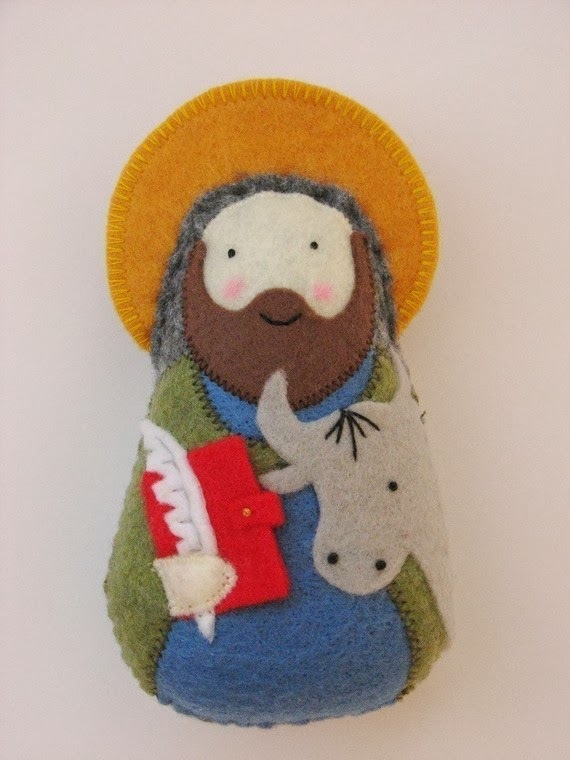 We got Luke a St. Luke doll from Saintly Silver on Etsy, along with a copy of Hooray! I'm Catholic! 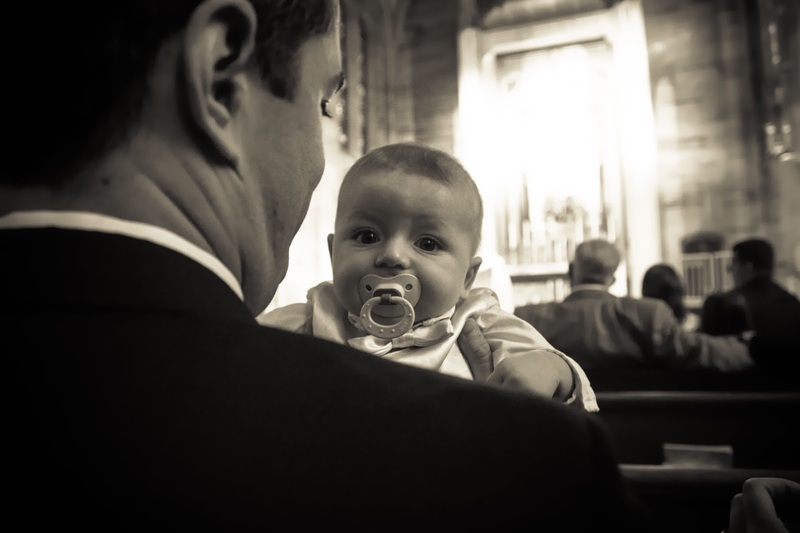 a sweet little story about being Catholic, illustrated by a local Atlanta artist. It was such a sweet day! 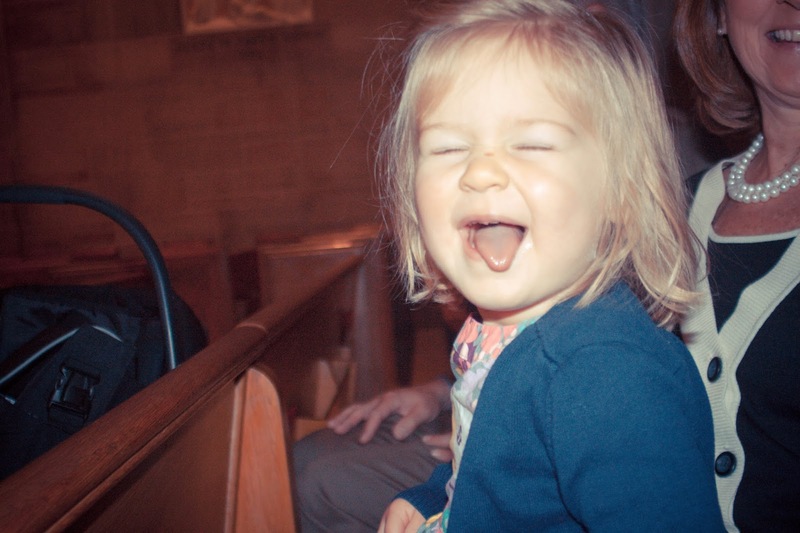 Evie was fabulous...even though she had to sit in those cramped pews for an hour! Welcome to the Church, Luke Vincent!